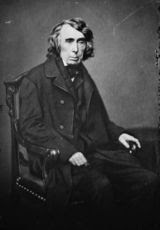 In case you missed it - - I had until the other day, Baltimore Examiner editor Frank Keegan penned an informative opinion in the March 5th, 2007 edition of the paper on Chief Justice Roger Brooke Taney that is a great companion piece for the article that Kelsey Volkmann wrote the same day. 20070304 Truck “decorations” in Maryland. 20070311 Does anybody know what time it is? 20070325 So where were the spiders?